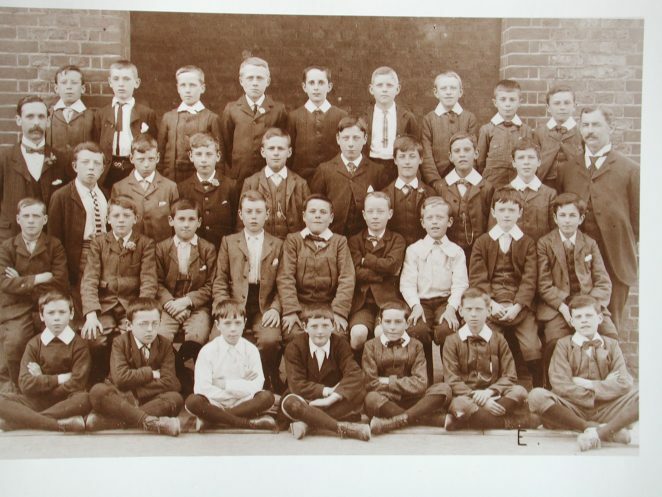 My ancestor, William Muggeridge, born in 1892, is on the back row fourth from the left. Does anyone recognise a relative and if so, do you know which school it is? I have always thought it was Brighton & Hove Grammar School. I have a photo very similar to this. Mine was taken in 1909 and has my great grandfather in. It is taken in more or less the same place and I believe it also has the same two teachers, but they are on opposite sides. My great grandfather was living in Landseer Road, Hove at this time, but I also have no idea which school it is.